I went too far. My little guy was trying to put honey on his toast, a task he has been bugging to do on his own for a week now. But one that I have been intercepting and doing myself—mainly because the honey jar was too full and heavy for him to manage without a sticky disaster. So, this morning, with the jar only half full, I allowed it. 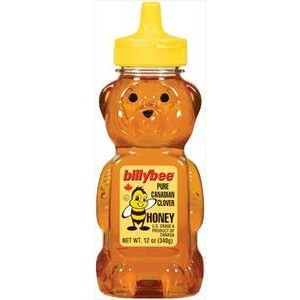 He managed to tip the jar and get the honey flowing, but he held the jar too close to his toast and got honey all over the mouth of the jar and the lid. But when he tipped the jar back upright, honey trailed across the table, all over his hand, and down the side of the jar. Not a big deal. At least, I don’t think it’s a big deal now. But at 7:00 a.m. this morning, with two kids still needing to eat breakfast, get ready for school, and get out the door by 7:30 a.m., the honey mess was one sticky situation that I had not worked into my morning plan to get us out the door on time. So, I kinda lost it. I took the honey jar from him (perhaps “snatched” is a better word) and I told him he was making a mess and he couldn’t have honey anymore because it was too much work to clean up the disaster he had made. He crossed his arms on the table and put his little head down on his arms. He looked crushed, sad, defeated, hurt, and shamed. Not a proud moment looking back on it. And, even in the moment, I knew it was not my best mommy moment. When I see him tonight, I will apologize to him and explain, in simple terms, that Mommy shouldn’t have said what she said about no more honey for him. And I will tell him that Mommy thinks that he did a good job getting the honey on his toast, and that if he keeps practising, he’ll be able to do it perfectly in no time. Then I will hug him and play with him for a bit before I start to make dinner and set in motion the evening routine. Have you ever done or said something to your child that you regretted and wished you could take back? This entry was posted in Uncategorized and tagged being kind, Betterment, Family, kids, Kids, morning routine, morning rush, Parenting, parenting mistakes, stressed-out on September 19, 2013 by Nancy. Oh yes…let me count the times and ways. We all have those moments. I think we all need to stop putting so much pressure on ourselves.